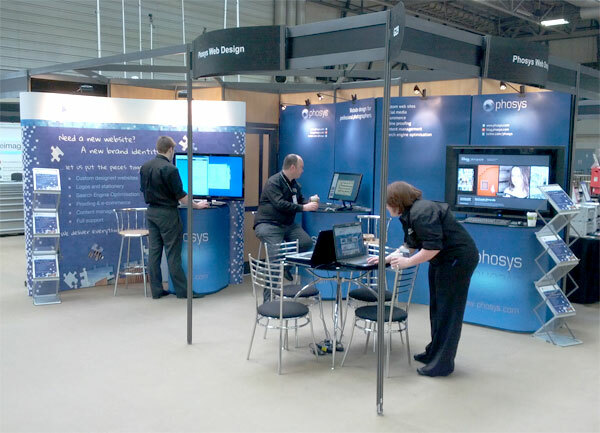 From Sunday 3rd March until Wednesday 6th March we’ll be attending Focus On Imaging at the NEC in Birmingham. Our stand is G29, Hall 9. If you’re visiting the show please stop by and say hello! cybermill on Announcing: Webapp 3.0! Martin on Announcing: Webapp 3.0! New Phosys packages – and a rebrand! I just wanted to express my gratitude for both your excellent system and the highest level of support that you provide. My site has evolved massively since it went online and this is definitely attributable to the ease of use of the Phosys engine and the support/suggestions that you provide. Thank you so much for all your help and patience with designing the new website! I am very pleased with the design, and feel the potential of its features will hopefully take my business from strength to strength. Once again thanks for everything, speak to you soon. I would just like to thank you all for my fantastic website. It is so user friendly, quick and convenient to update, it’s just what a busy photographer like myself needed. I have had so many compliments from my clients as to how modern and professional the site looks and feels. Your team worked very efficiently in turning around any changes I made during the design process and your after sales can't be faulted. I would have no problem in recommending your services to any professional or serious photographers. It looks great - I'm really impressed given you have done this by telephone and email. In the past I have spent hours with web designers and they still made it complicated! I want everyone to know how pleased I am with my new website, it looks absolutely fantastic. You have been very helpful throughout the whole process, explaining everything and sending me regular updates on the new site. My redesign is brilliant, and due to your search engine optimisation I'm once again back at the top! Customers are commenting on the professional design and how easy the site is to use and navigate. I really love the new colour scheme and the refreshed logo design. Thank you once again for your fantastic service and support over the many years I've been with you. Thank you for your outstanding service. I am more than impressed with Phosys and I still find it hard to believe the very low monthly fee. I was quoted £2,600 and £2,800 from two other firms for a new website and one of them took 6 weeks just to give me a quote! I contacted Phosys and it was so simple, my site was up and running in a matter of a few days. Your customer care is second-to-none and you're always calm and polite - a pleasure to deal with.